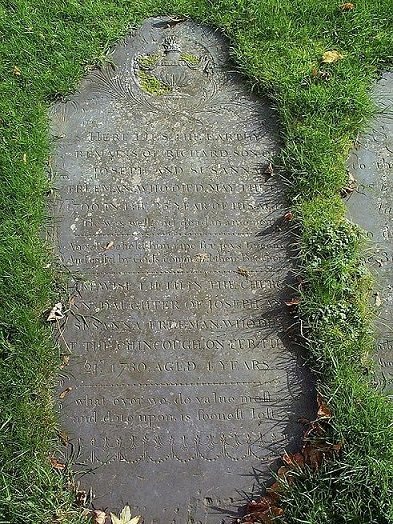 Here lies the earthly remains of Richard, son of Joseph and Susanna Freeman, who died May the 9th 1790, in the 23d year of his age. He was well, and dead in a moment. Likewise lieth in the church Ann, daughter of Joseph and Susanna Freeman: Who died of chincough, on Feb. the 21st, 1780, aged 4 years. and dote upon, is soonest lost. Note: chincough is an old term for whooping cough.